Dr. Jeremy Park BDs graduated from the University of Otago, New Zealand in 2002, since completing his degree, Dr. Park has sustained a keen interest in cosmetic and implant dentistry, and attends courses and seminars regularly, to keep abreast of the latest techniques. Dr. Park is extremely passionate about dentistry and it shows in his work. Dr. Park enjoys a challenge and appreciates quality dentistry. 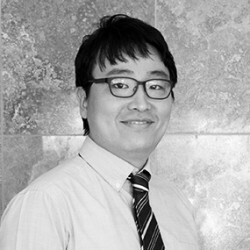 Dr .Park is a member of the ADA and ITI the international team for implantology and is also a registered dentist in South Korea. He is also a registered practising member of the AADFA (Australasian Academy of Dento-Facial Aesthetics). In his spare time when he is not at the surgery, Dr. Park enjoys watching movies, playing the piano and landscape photography.